FT Island will hold its concert tour in New York and Los Angeles. 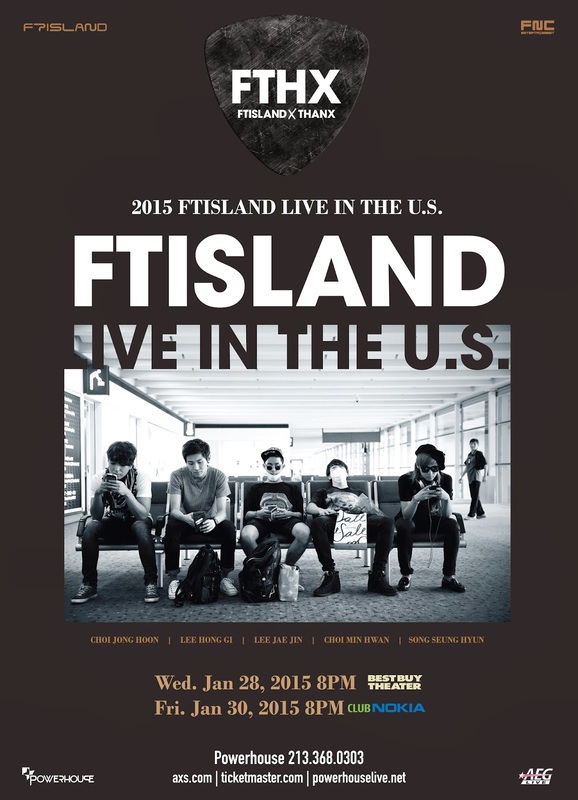 According to FNC entertainment, '2015 FTISLAND [FTHX] TOUR' will be held on January 28 in New York and on January 30 in Los Angeles. The agency stated, "The band, who was originally planned to hold its Europe and Latin American tour in various countries including France, Brazil, Chile, and Mexico, recently added 2 more shows to be held in the United States in accordance with fans' request." Through its first ever Europe and Latin America tour, FT Island will visit Paris, France, Sao Paolo, Brazil on January 19, Rio de Janeiro, Brazil on January 21, Santiago, Chile on January 23, and Mexico City, Mexico on January 25. It is expected that the band who has had rich stage experience through a variety of concerts including its concert tour in Japan and large-scale rock festivals in the country such as 'Summer Sonic', 'A-Nation', 'Zebra Music Festival', and 'Inazuma Rock Festival', will show high quality performance to global fans. Meanwhile, FT Island will take part in FNC entertainment's family concert 'FNC Kingdom' to be held at the Osaka-Jo Hall on December 20 and 27.